If you have been divorced for any length of time, you likely know that questions, concerns and problems can come up between you and your ex-spouse related to your children at anytime. The fact is that you cannot predict the future when you sign your divorce papers. You make the best decisions you can with the information that you have at the time about your new living situation, based on current circumstances and your children’s best interest at the time. 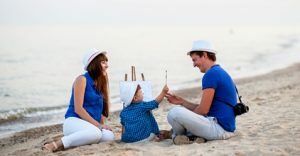 As time passes after the divorce, new issues come up related to child support, education, religion, extracurricular activities, and new stepparents, and it is easy to see how conflict can arise. After all, communication problems and conflict may have been one of the primary reasons your marriage did not work in the first place. Johnson Mediation specializes in providing divorced couples with post-divorce mediation and child support services. Being able to resolve issues that arise related to child support and other parenting issues without having to go through costly and time consuming litigation can reduce stress and improve overall chances for successful resolution. Mediation allows you and your ex-spouse to find ways to compromise without a lengthy court battle. Issues surrounding child support can be some of the most difficult to resolve both during and after a divorce. If you are concerned because your ex-spouse is not paying child support payments or if your circumstances have changed such that you believe that the current child support calculation is not sufficient, it may be time to seek professional help. The team at Johnson Mediation is well versed in Minnesota divorce law and can help determine the best path forward regarding potential changes to a child support agreement. If a child support agreement needs to be negotiated or modified for any reason, our team can help with this process. 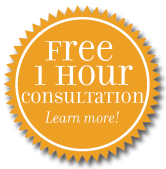 Mediation is a highly effective tool for solving problems that arise after a divorce is final. The court system is simply not set up to handle each and every issue that comes up post-divorce. Johnson Mediation has extensive experience with post divorce mediation including helping you navigate child support issues that come up. Our team focuses on you, your family and your future and will work to help you resolve the issue quickly, and with minimal conflict. For more information, call us at 952-401-7599 to schedule an appointment.